The Lusty EMS Dolly is a rugged, multi-purpose dolly, with a highly efficient sandwich plate construction and galvanised frame as standard. The Lusty EMS Dolly is uncomplicated and robust, giving you the reliability you have come to expect from Lusty EMS. The Lusty EMS Dolly’s modular design also means there are a variety of available options, which can be easily configured to suit many requirements. Options such as tandem or tri-axle configuration, three-position drawbar, paint alternatives and customised drawbar lengths give the Lusty EMS Dolly great flexibility for any transport task. 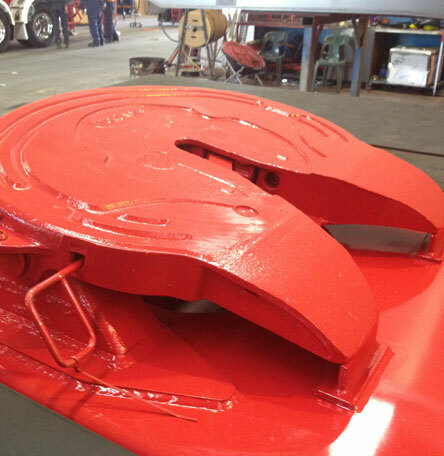 Sandwich plate chassis is 30% stronger than RHS with no tare weight penalty. Angled drawbar tube allows product and road debris to fall off (non-angled design is available as an option. A galvanised finish provides long lasting durability and no paint chips (requested painted finish also available). 3 position interchangeable drawbar height for optimum drawbar angle. In the end, the Lusty EMS difference is obvious – our dollies are built with care and attention to detail to provide long and reliable life and strong resale value. 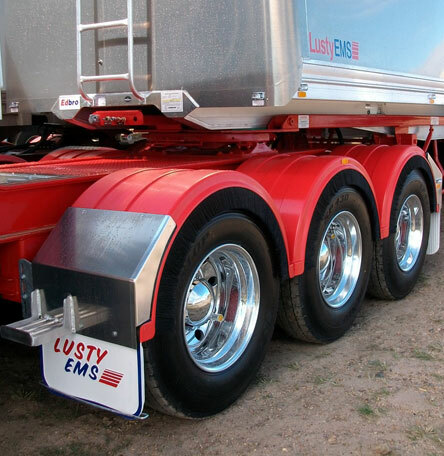 Lusty EMS provides you with a range of high quality, fleet specific standard colours to allow you to personalise any Lusty EMS trailer to match your corporate identity and meet your requirements. Please click here to view the standard colour range available for Lusty EMS trailers. 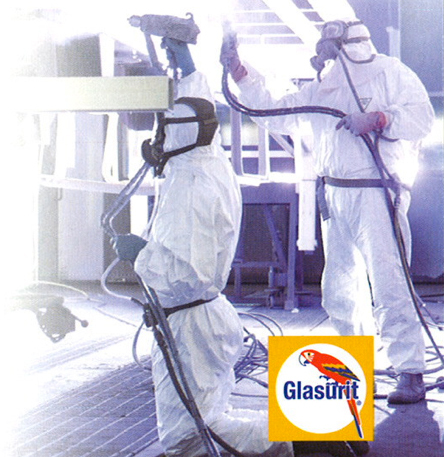 Turntables are available in Greaseless and Greaseable in such brands as Holland,Jost,Georgefisher and V-orlandi,ballraces are also available in these brands. Radius guards are available in either plastic or stainless steel and are commonly used in B-Double combinations. The Tip thru grain chute is custom made to suit either plastic or stainless steel.